Home » SEO blog » Technical SEO » What is the mission of your website? Before you start making any improvements on your website (SEO, UX or otherwise), you should ask yourself: what’s the mission of my website? Why should people visit my website, read my posts or buy my stuff? What’s the purpose of my website? You should be able to answer these questions in a heartbeat. In this post, I’ll explain the importance of having a clear mission. Also, I’ll stress the importance of communicating your mission to your audience. The mission of your website consists of the ideas you have about your website and your company. Every website owner has certain expectations of his visitors. You want them to read your posts, or to buy your products. Perhaps you want to inform or entertain your readers or to improve their lives with your awesome products. Take the time and literally write down the mission of your website on a piece of paper. A computer or an iPad will do as well of course. You have to come up with one mission, one message to send to your audience. Once that message is clear to you, you’ll be able to communicate it much better to your audience! What can people do with the products or information you’re offering on your website? What makes your products or ideas unique? How will your products/services enhance your clients’ lives? Why should people buy the products/services on your website and not on another (e.g. cheaper or better known) website? Or why should people read your information and take your advice instead of information on another website? What’s the reason you’re offering these products/services or information, besides making money? Once your mission is clear, you can check whether or not your mission is reflected on your website. Focus on your homepage and landing pages first, as these are the pages where your visitors enter your website. Be aware you literally just have seconds to get your most important point across. People’s attention span is really short, particularly online. So you have to make sure you tell all the important stuff first and tell it quickly. There are a few ways to make sure your mission and purpose are instantly clear to your audience. You should 1. write decent introductory content, 2. make sure your headlines and taglines are clear and 3. insert nice, suitable pictures. Your homepage and your landing pages should include a clear introduction. In this introduction, you explain the mission of your website. What is your website about? What do you ‘sell’? Make sure this text is really clear and adapt the wording to the language use of your audience. This text should not be too long (one or two paragraphs at the most)! Another way to communicate your mission to your audience is to make good use of your headline and tagline. The headline is the title of a page or post. A tagline is a small amount of text which serves to clarify a thought. It could be the explanation of the headline, or a description of your brand or company. Make sure that headlines and taglines clearly communicate the core goal of your product. This is most easily done by creating a headline for your landing page that attracts your visitors’ attention. Below that could be a tagline that really brings home the message of your headline. If possible, try to write your headlines in an action-oriented way. You can do this by using verbs and sentences that imply an action for the visitor. 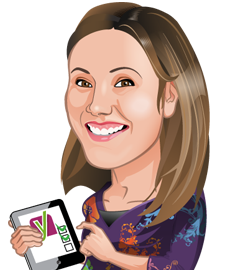 For instance, we could have a headline saying: ‘Keep your site optimized with the Yoast SEO Premium plugin!’. This shows people one of the core values of the plugin, and making it active will motivate a lot more people to actually try it. A third way to make sure your mission is clear to your audience is to make good use of pictures. For most products, it is easy to find pictures that reflect the purpose of your website. Think about what you want to tell your audience, keep your mission in mind, while choosing pictures. If you are selling candy, make sure to put pictures of tasty candy on your homepage. If you are selling cruises to Hawaii, you could definitely take some great shots of a tropical island and a nice cruise ship. For those of you that sell things like consultancy or plugins for that matter, it is more difficult to find suitable pictures. If you offer information on your website, search for a picture that reflects the information you are offering. Businesses are born of ideas, some of which are great, some are not. But they’re all born out of the idea that what you have to offer is special, and adds something to the market. That is your mission! And that mission, that advantage, that promise, should be well reflected on your website! 11 Responses to What is the mission of your website? Nice post. I am writing again. I don’t know what just happened to my comment. BTW nice post. Post is good. And thing I learned from here that it should be action oriented but at the same time SEO oriented too. A bit hard but will try to do. Really good information, that’s why I like to visit this page. Good post! Thank you Marieke. Mission Statement is a key factor to the whole business success, not only to the website or SEO success. Thank you for sharing! This foundation is similar to one I follow for my newly-launched, self-named site. While I use no tagline, the welcome message and categories inform my audience about what I share and why it’s beneficial for them. A good reminder of what’s fundamentally important for the customer – it’s easy to get sidetracked. Looking at a new site this quarter, so a useful read, thanks! I really like your new images! 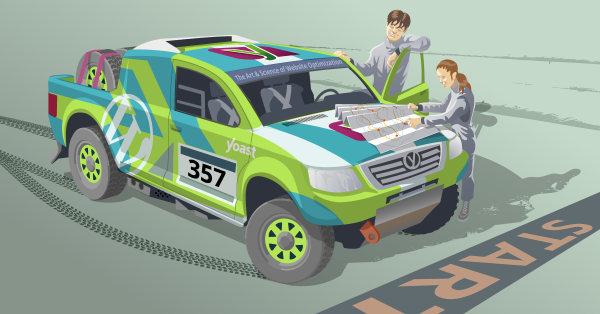 Great Yoast car! Sometimes as you said pictures say a thousand words. For my website it’s all about pictures (photographer). The only problem is, words are needed to be findable, but I want a clean website with not to many words. Last year, Michiel wrote about Photography SEO. He talks about the challenges you’re facing on a photography website, and gives you some good tips and tricks.